This band plays an eclectic mix of country, bluegrass, western swing, rockabilly, blues, traditional jazz, dixieland, old-time music, folk, roots music & Americana. Our band members also play in Hot Jazz Jumpers. 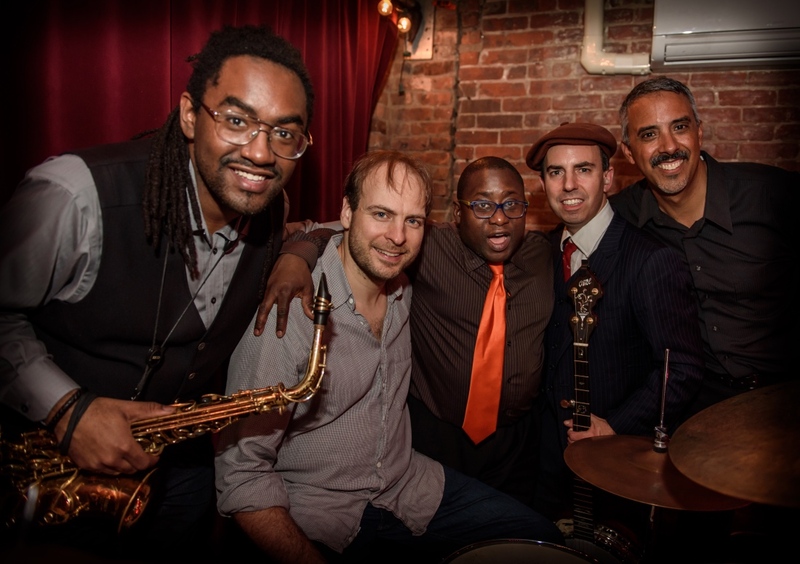 Hot Jazz Jumpers perform Gullah-Geechee influenced 20s/30s jazz, music of New Orleans, country, bluegrass, blues, folk, originals and world music. The group, “Nick Russo + 11”, features Nick Russo with various combinations of eleven great musicians: Mark Turner, Miles Griffith, Samir Chatterjee, Ari Hoenig, Willard Dyson, David Pleasant, Art Hirahara, Bryan Murray, Greg Glassman, Matt Clohesy and Nathan Peck.